We have always loved houses with awesome views. 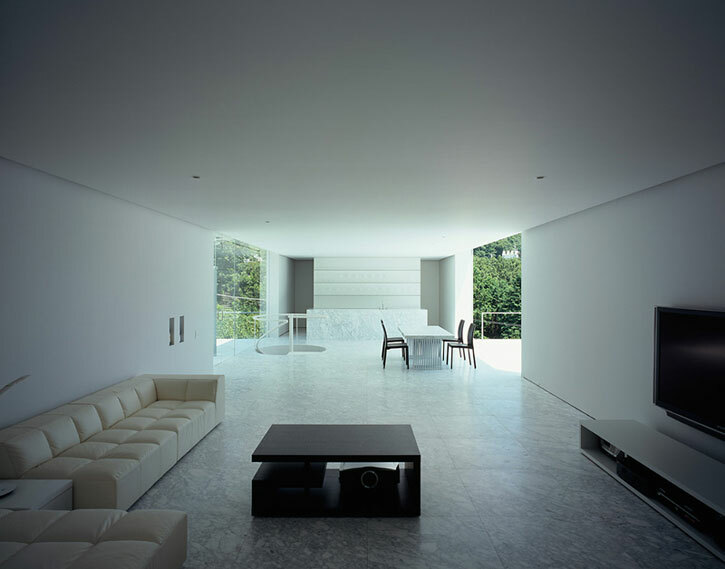 And this Japanese residence is the latest one to hit our radar. 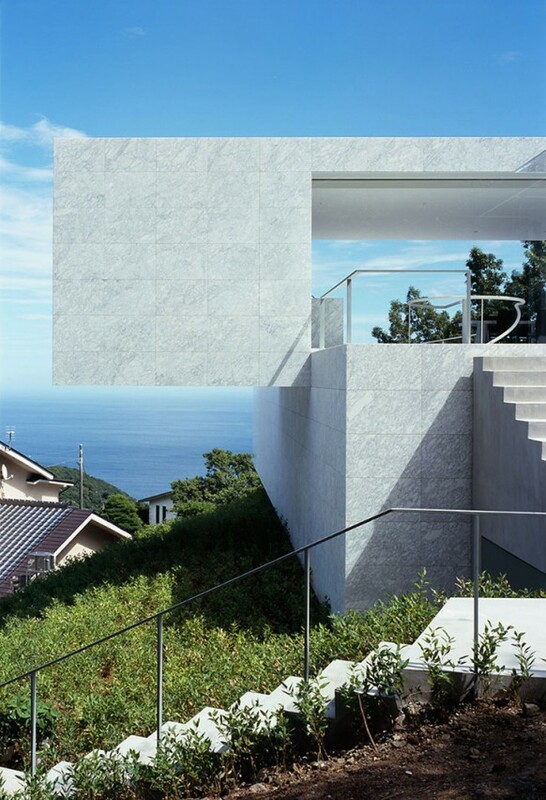 Supposedly a weekend house it overlooks the pacific ocean. 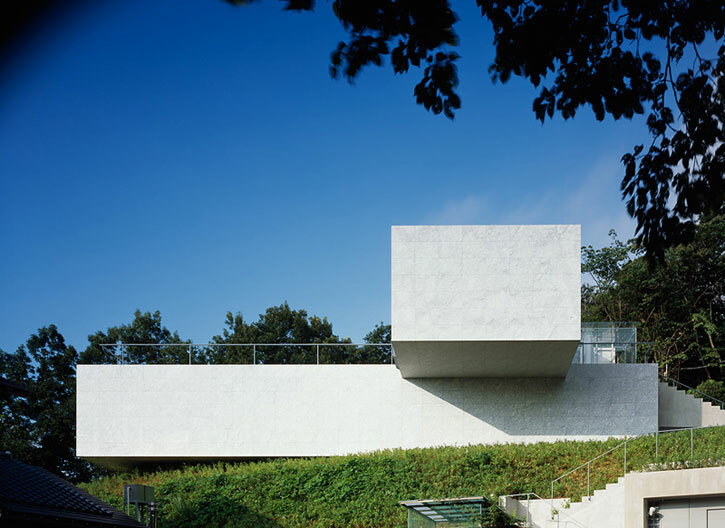 Two huge concrete blocks sit on top of each other and if viewed from top resemble clock hands reading ten to two. 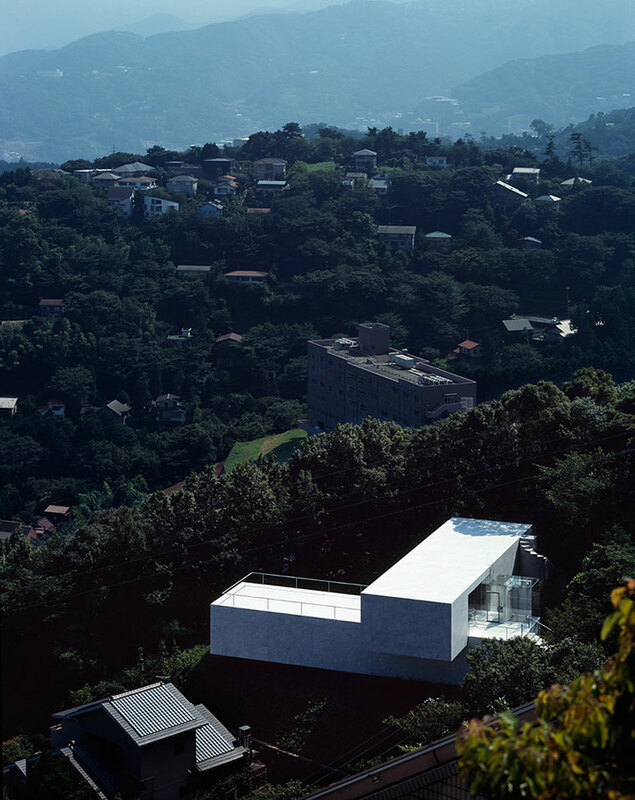 The house is on the mount Izu-san where the deciduous trees and the Japanese oak trees add to the wilderness of this place. 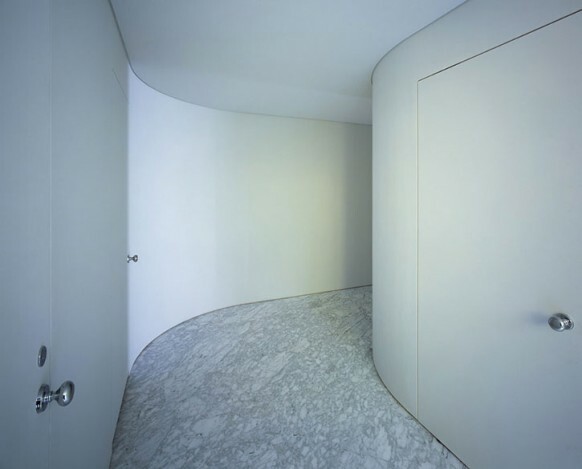 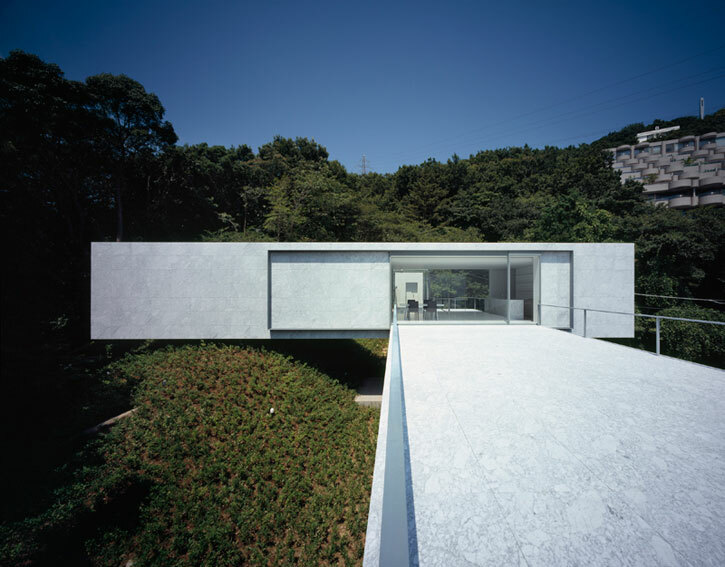 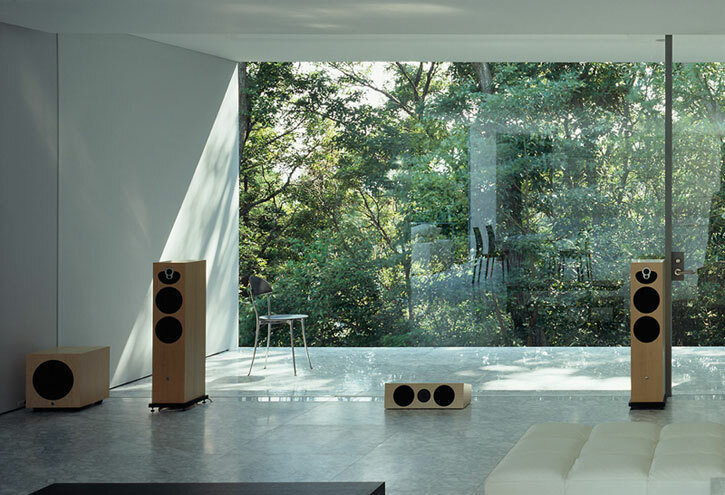 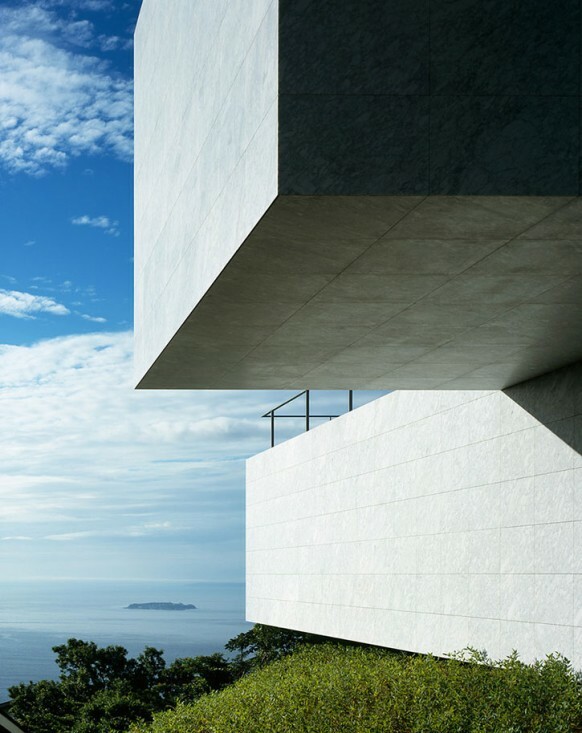 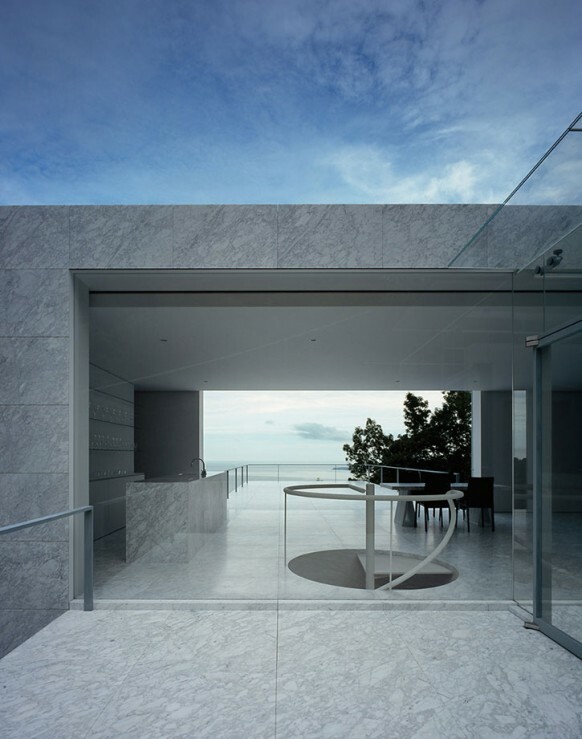 The residence captures the architect’s (Mount Fuji Architects Studio) theme of ‘abstraction to nature’ pretty well. 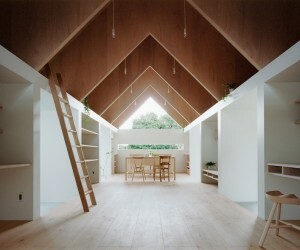 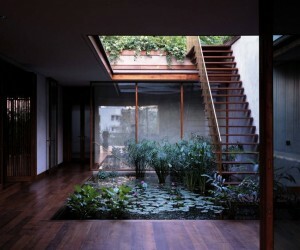 The simplicity is encapsulated even in the interiors of the homes. 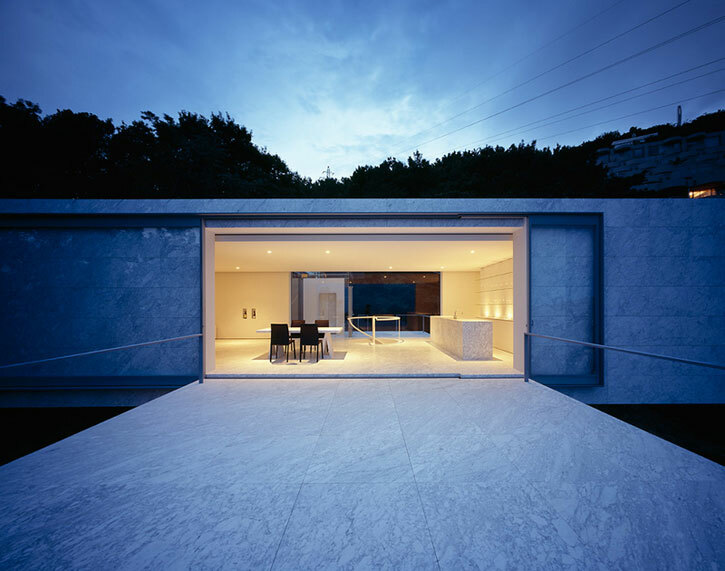 At night the entrance of the place illuminates giving the onlookers a welcoming feeling. 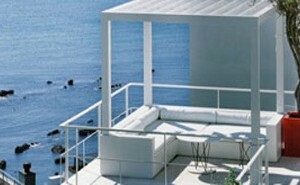 It is a good place to unwind and relax.